We had this one installed a few days back in the apartment, and though it was a bit pricey, we actually think that it's worth every penny. The whole thing works excellently, no issues whatsoever. There are many choices here in the site where shower sets are concerned. But then, this is the one that I really like because for one, it is within my price range and also because it had everything that I wanted. Plus, the whole thing looks really great installed in my master en suite. Definitely something I would recommend. 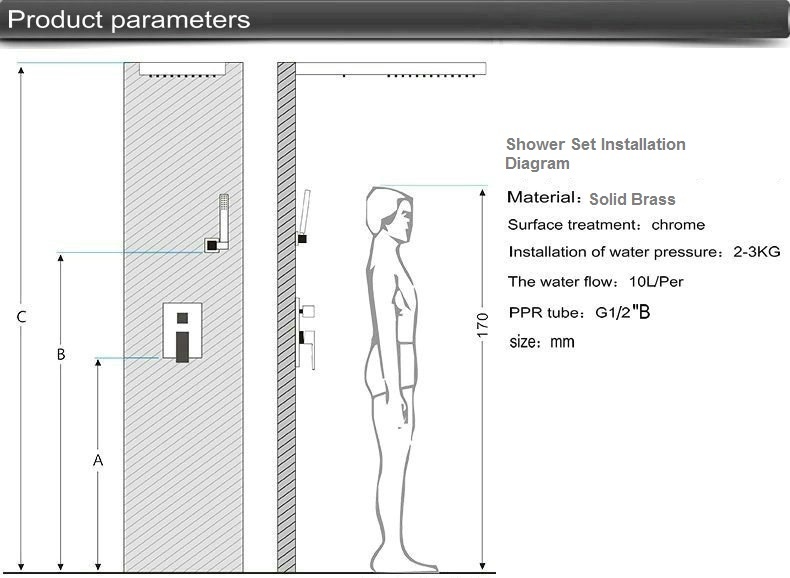 Although everything about this shower set is great, I particularly like the body and how they work. This is the first time I've ever tried showering with one, and so far I'm enjoying every minute of it. The other components of this shower set is just as great, and I feel like I've made a great choice by choosing this one. After moving from one apartment to another, we've had several shower sets. But now that we're finally able to put some money down for a house, we've finally had the chance to choose and design our own bathroom, and this is just the perfect shower set for our new home. The shower head and the body massage jets were wonderful, and we're really happy with it. Primarily bought this shower set because of the design - just look at how gorgeous it is! It's chrome finish gives it a sterling appeal, looks sleek and luxurious! The body jets are also terrific. I never thought they'd work as described in other forums, but they actually do! I just have trouble getting used to the hand held shower, I think it would've been nice if they're not so edgy - perhaps a bit rounder, but I guess it just takes time. Great product overall, and much recommended.